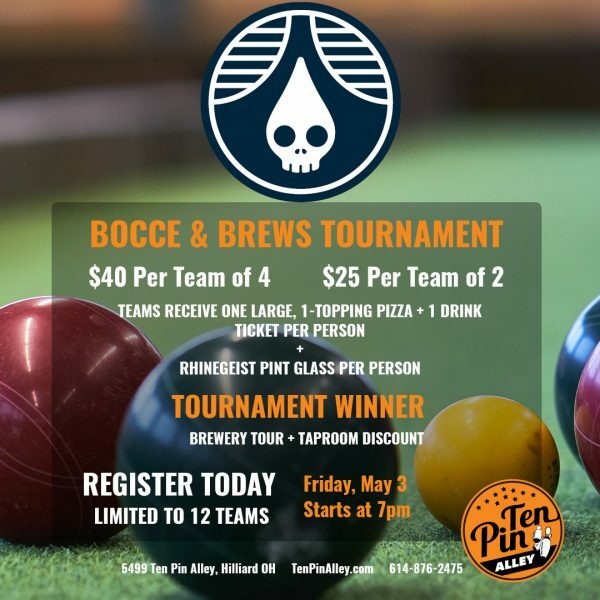 Our Bocce & Brews Tournaments continue in May with Rhinegeist! Tournament Winner receives brewery tour and taproom discount! Tournament Begins at 7:00pm and lasts until it’s done (usually a few hours).